Not everyone has the same enthusiasm or knowledge about cars. Some drivers study their cars inside and out, learning exactly what makes their car tick. Others are content to leave their cars in the garage or on the side of the street, seeing them only as expensive seats with wheels attached. Beyond any mechanical issues, many car owners neglect consulting their owner's manual after purchasing a car. Your manual has a number of helpful hints and instructions for regular maintenance. More to the point, if one of your car's many warning lights turns on, you'll be able to identify the issue with the manual's help. By knowing what your warning lights indicate, you'll be able to better care for your car. It's such a simple task, that many drivers ignore it completely. Changing your oil – and oil filter – is the easiest, quickest, most dependable way to keep your car on the road for years to come. As far as minor car upkeep goes, this one is pretty easy. 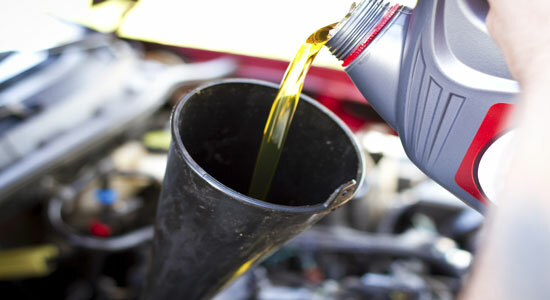 If you don't have the space – or the time and patience – to change your own oil, make sure you schedule regular appointments with a trusted mechanic. Usually, they'll change your oil while you wait. Low tire pressure is a commonly ignored problem, stemming from many drivers' inability to notice when the pressure is actually low. Sometimes the eye-test doesn't cut it, and, unless you check the pressure with a gauge, you could overlook this issue. Of course, some newer cars will alert you to low tire pressure. Just make sure you heed your car's advice and get them filled. Driving on properly inflated tires can extend their lifespan and increase your gas mileage. Moreover, tires filled correctly perform better than those that are over or underinflated. Remember to rotate your tires on a regular basis to ensure an even wear. A regular check of your tires' condition will also help you identify when it's time to replace them. Pro-Tip: To easily check your tire tread, use a penny to measure the amount of tread remaining. Simply turn the penny upside down (so Lincoln's head is upside down). Place the penny in one of the grooves on your tire. If Lincoln's head is covered, you have more than 2/32'' of tread remaining. Any lower than that, and the law says you'll need to replace your tires. If you've ever been caught in a storm with old wipers, you'll understand how crucial functional wiper blades are for safe driving. Especially with the winters of Western PA, you'll need to consider changing them often. Most wiper blades can safely function for a year, but we recommend changing them as soon as you notice streaking or an inability to clear your windshield. 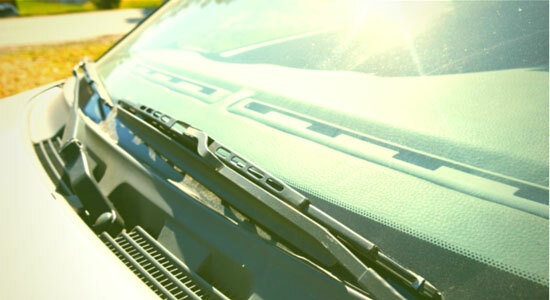 Changing your wiper blades is easy, and you can buy them new at most chain stores and auto shops. Most important of all, never ignore an issue. If your car is making noises or riding incorrectly, take it to a certified mechanic. While it may cost money to have your car checked, it will certainly cost less than having to replace it when a problem is neglected for too long. As always, stay safe when you're driving and never overestimate your mechanical prowess. Always leave the big jobs to the mechanics who have proper training to fix them. If you're ever injured in an auto accident from a negligent driver, contact our law firm for a free legal consultation. We're open 24/7, and we're happy to answer any legal questions you have.